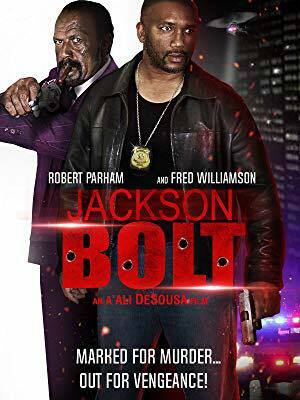 The Martial Arts History Museum is proud to screen the movie JACKSON BOLT starring our own, Robert Parham and Fred Williamson. In this tale of revenge and redemption, Jackson Bolt is an emotionally distraught detective who is being treated by the department psychologist. To make matters worse, Jackson’s wife Darla is having an affair with his partner. When his partner gets murdered, Jackson realizes he’s been setup by his old kickboxing promoter. Fists and bullets fly as Jackson tries to clear his name, save his wife from a treacherous pimp turned hitman, and defeat the only fighter to beat him.